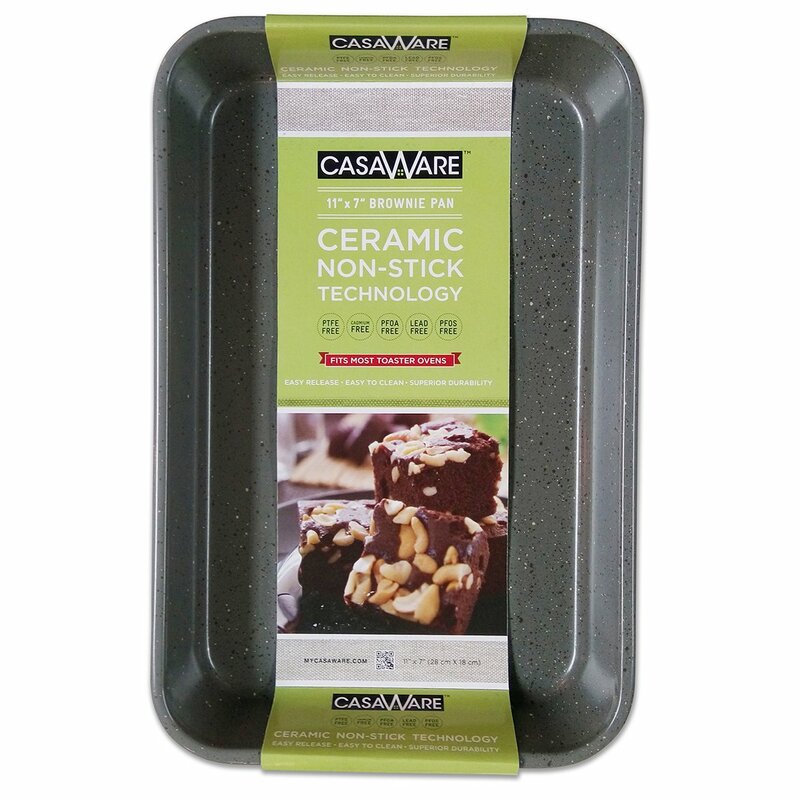 Home › Home and Kitchen › Casaware Toaster Oven Baking Pan 7 X 11-Inch Ceramic Coated Non-Stick (Silver..
Casaware Toaster Oven Baking Pan 7 X 11-Inch Ceramic Coated Non-Stick (Silver..
Color: Silver Granite This 7 x 11-Inch Toaster Oven Baking pan can be used in both a traditionaloven and a toaster oven. Can be used for cooking and reheating food. The panhas two layers of ceramic coating that makes if both durable and easy toclean. The Colored non-stick baking surface is PTFE Free, Cadmium Free, LeadFree, PFOA Free and PFOS Free. The base of the pan is a fashioned colored highheat resistant non-stick. The internal baking dimensions of the pan are 7 x 11x 1.5-Inch. The exterior surface of the pan is coated with a complimentaryhigh temperature non-stick colored finish. USE and CARE Instructions: BeforeFirst Use- Remove all packaging materials and labels. Wash in warm soapywater. Rinse and dry thoroughly with a soft cloth. UTENSILS - Plastic, rubber,silicone or wooden utensils are recommended. Avoid using any sharp objects ormetal utensils because they can scratch any non-stick surface. Always removefood from the pan before slicing or cutting. CLEANING - Cool completely beforewashing. Hand wash with a soft cloth or sponge and nonabrasive cleansers orliquid dishwashing soap in warm water. Rinse and then dry with a soft towel.